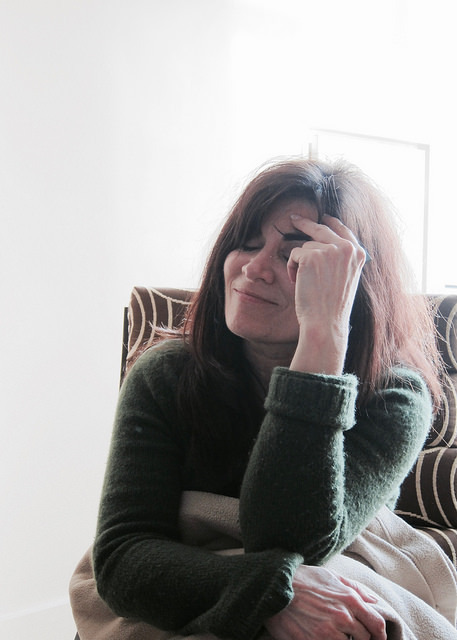 Phoebe Gloeckner, the author of The Diary of a Teenage Girl: An Account in Words and Pictures joins the podcast on way too little sleep to talk about transgressing borders: national borders, panel borders, and familial borders. We talk about Diary’s hybrid structure and why it would have been unpitchable to a publisher (luckily, she had a two-book contract), the tightrope of portraying a 15-year-old girl’s affair with her mother’s 30-something boyfriend without making her strictly a victim or “asking for it”, and some audiences’ obsession with “the facts” of the book. We also get into her ongoing, decade-long multi-media project to recreate a life in Juarez, Mexico, her place in the comics scene (too young for the undergrounds, too old for the alternatives), her unrepeatable approach to making art, and more! Give it a listen! 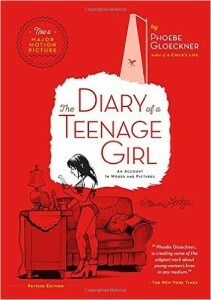 And buy Diary of a Teenage Girl ! She also tells a hilarious story about her first meeting with Matt Groening, explains why she’ll never get into another relationship, discusses her attachment to the works of Dr. Ira Lunan Ferguson, and reveals perhaps the most insane version ever of the “reconnecting with your ex on Facebook” phenomenon. Go listen! Phoebe Gloeckner is a graphic novelist and a Professor at the University of Michigan Stamps School of Art and Design. She is the author of The Diary of a Teenage Girl: An Account in Words and Pictures (which was recently made into a film), and A Child’s Life and Other Stories , as well as many short stories, illustrations, and comics which have appeared in a variety of publications over the last 25 years. She has a master’s degree in Biomedical Communications from The University of Texas at Dallas, and was an undergraduate at San Francisco State University. She also studied at Charles University in Prague and L’Unversité D’Aix-Marseille in France. She was the recipient of a Guggenheim Fellowship in 2008. Phoebe is currently working on a multi-media novel based on the lives of several families living on the outskirts of Ciudad Juárez, Mexico. She has traveled frequently to Juárez over the last 10 years to research the project. Credits: This episode’s music is Nothing’s Gonna Bring Me Down by David Baerwald, used with permission of the artist. The conversation was recorded at the ink48 Hotel in NYC on a pair of Blue enCORE 200 microphones feeding into a Zoom H5 digital recorder. I recorded the intro and outro on the same setup. Processing was done in Audacity and Logic Pro. Photo of pissed-off Phoebe by me.